I first learned of this book through my friend, who also happens to be named Jackie. Since this is a book of poetry, I'm not sure whether listening to the audio book helped or hindered my appreciation relative to reading the printed version. In either case, this was beautiful. It is a series of autobiographical poems covering the time from the author's birth to the early 1970's, when she felt she had truly become a writer. I was surprised to find a personal connection with the early poems because they are set in Columbus, OH, which is where I went to graduate school. Many of the names and places were familiar. From the description of an African-American girl growing up "in the 1960s and 1970s, living with the remnants of Jim Crow," I expected this book to be full of much more pain inflicted by white men and the culture that privileges us. Certainly, Woodson had her share of pain as a child, but most of it did not come from the sources I expected, at least not directly. Most of it came from conflicts within her family, especially the conflicts between the Northern and Southern sides. In these poems is also much joy, curiosity, confusion, and other emotions of childhood. She gives a captivating window into how she grew into a writer and storyteller despite some discouragement. None of these poems document anything outside the experience of many children past and present, but I felt many of the emotions with her as she read them. I think that is the greatest strength of this book; it brings extraordinary life to many of the deep and powerful emotions and experiences of what might otherwise be called an "ordinary" childhood. 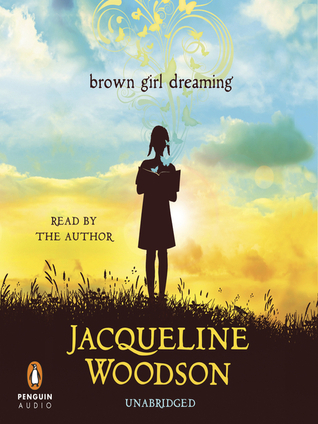 Sign into Goodreads to see if any of your friends have read Brown Girl Dreaming.